We had a meeting this week to just catch up after the holiday break. First things first let’s check out Renee’s nails this week. Don’t you just love this shade of green? Sometimes the el cheapos just out perform themselves! We just need to put it out there – our meeting wasn’t in the most stylish of hang outs – we met up at McDonalds or as us Aussie’s call it Maccas! In preparation for Australia Day later this month, Maccas have got some Aussie influence on their menu. So we tried out the Fanta Frozen McFloat in Passionfruit flavour. 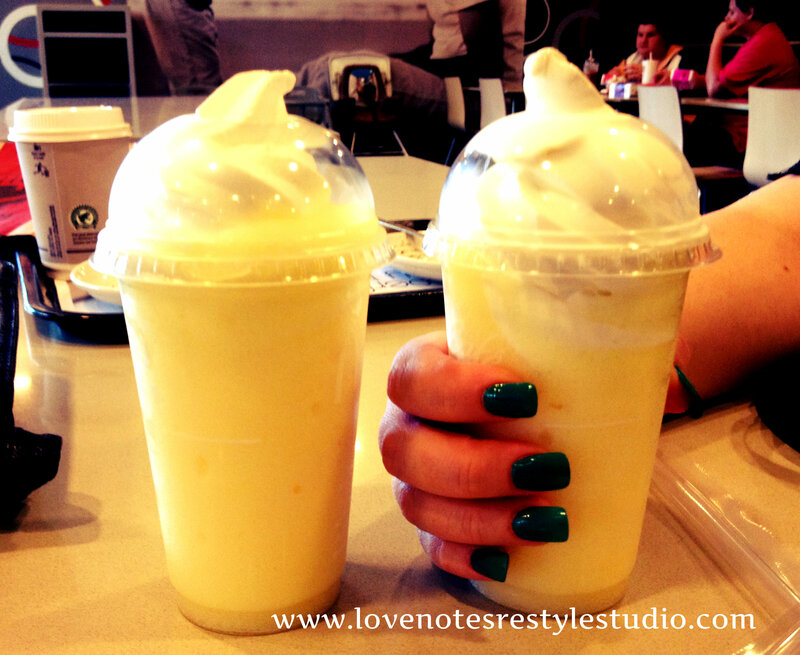 Basically it’s a Passionfruit slurpee with soft serve on top – Yummy!